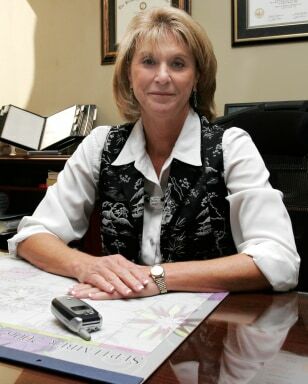 Pam Weed, the Jefferson County Board of Education's director of student services, sits at her desk in Birmingham, Ala. The school system recently decided against an outright ban on cell phones in the school district. Alabama was lifting the cell phone ban for its public schools just as New York City was implementing a crackdown.